“To get benefits of rewards and promotion, security forces are attacking villages and arresting Tribals, non-Tribal activists and youths and declaring them as Maoists,” a Maoist leader claimed. “It is true that some of our weak cadres are getting attracted towards the bankrupt and corrupt surrender policy of the government and laying down their arms,” Gudsa Usendi, the spokesperson of the Danda Karanya Special Zonal Committee (DKSZC) of the CPI (Maoist), said in a press statement . 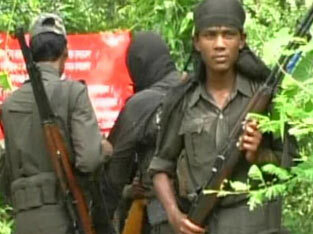 The Maoist statement has come in the wake of a spate of alleged Maoist surrenders in Bastar region of Chhhattisgarh. “The revolutionary public term those who surrender before police as enemies of people. The revolutionary public hates such people. When such people are coming back to their villages, they have to face people’s ire,” claimed the DKSZC spokesperson citing the example of surrendered former Mad Divisional Committee member of CPI(Maoist) Navin. 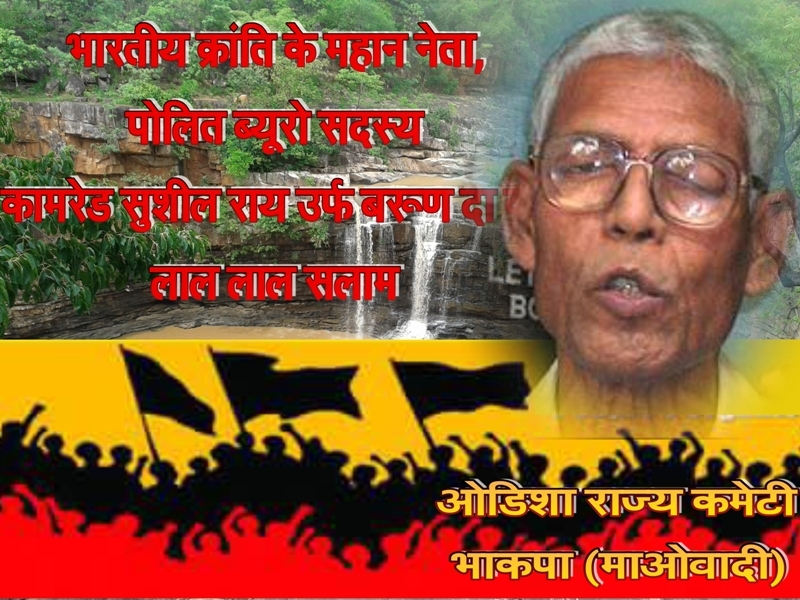 “When Navin went back to his Dhanora village in Narayanpur district along with the police, hundreds of villagers surrounded the police station and protested against him,” said Gudsa Usendi and termed the current surrender policy of Chhattisgarh as “an earning opportunity” for senior police and paramilitary officers posted in the State. “Under this surrender policy, hundreds of crores of rupees of un-auditable funds are being given to the police and paramilitary officials, which is leading to criminalization of security forces in conflict areas. The government has also declared internal rewards and promotions for security forces. To get the benefits of rewards and promotion, security forces are increasingly attacking villages and arresting Tribals, non-Tribal activists and youths and declaring them as Maoists,” contended the Maoist leader. Accusing Chhattisgarh police of “threatening and forcing” people to surrender, Gudsa Usendi said that the police propaganda through print and electronic media on surrenders and arrests was an attempt to “defame” the Maoist party and to put “psychological pressure” on Maoist ranks, which might lead to confusion. Gudsa Usendi pointed out that Chhattisgarh police’s propaganda on surrenders was a part of a Low Intensity Warfare, which the government employed against the Maoist PLGA (People’s Liberation Guerilla Army), Janatana Sarkars (Maoist Village level organizations) and other party wings. “As a part of this Low Intensity Warfare, the anti-displacement activists and those who opposed paramilitary camps are also being arrested and declared as Maoists carrying rewards of lakhs on their heads. The people who left the party over the years for personal and family reasons are being captured and shown as dreaded Maoists,” contended the DKSZC spokesperson. The Maoist leader cited the example of Sita from Chirabai village in Barsoor area of Dantewada district who was a member of the PLGA’s Battalion No. 2. “Sita had left our party in June this year and went back to a village to spend a peaceful life. The police forced her to surrender by threatening her father. Police officers told the media that she carried a reward of Rs.8 Lakh on her head. But she was given a meager Rs.5000,” he added while claiming that there were “hundreds” of cases like the Sita’s. The Maoist’s spokesperson also claimed that “attacking villages, nabbing people between the age group of 20 to 45 and pressurizing them to become SPO (Special Police Officer) or surrender” was an integral part of Chhattisgarh government’s new surrender policy. “Those who refuse are being arrested and implicated in false cases. Some of them are being killed in fake encounters,” said Gudsa Usendi and appealed to every cadre in every rank in CPI (Maoist) to “oppose this surrender policy and fight for revolution and real independence till the end”. He also claimed the Communist Party of India and the Congress party had already raised questions over the spate of surrenders in Chhattisgarh. The Maoists also appealed to journalists to travel to these parts and expose the “hollowness” of the surrender policy and asked the human rights organizations to openly oppose the “unconstitutional and criminal” surrender policy of the government. Charging the ruling Telangana Rashtra Samithi (TRS) government with anti-people policies, the CPI (Maoist) has called for revival of war against the government, indicating the end of six-month long peace since the formation of the new state. The outlawed party accused the Telangana government of partnering with its neighbouring state Chhattisgarh in killing their cadres in fake encounters. 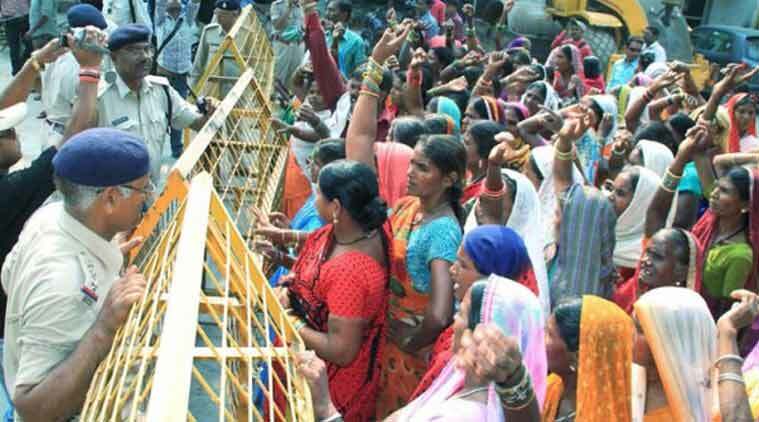 They said the Telangana government was harassing poor tribals and revolutionary organisations. “The Telangana government has unleashed terror in the tribal hamlets through heavy deployment of paramilitary forces,” said a three-page statement signed by its General Secretary Ganapathi and released to the press. The letter calls upon the people to rebel against the government. The letter listed out the failures of the TRS government since the formation of the new state in June and accused Chief Minister K Chandrasekhar Rao of behaving like a “dictator” by muzzling the voice of dissent and curbing the rights of the media and people’s organisations. The Maoists alleged that the police attacks have increased in several Telangana districts. “The government is spending crores of rupees on modernisation of its police force only to suppress the people’s movements. In the garb of heightened threat perception, it has spent Rs 100 crore to procure bullet-proof vehicles to the ministers,” the statement in Telugu said. The top Maoist leader’s warning comes against the backdrop of growing fears that Maoists will try to wrest back their old clout in the northern Telangana districts after the division of the state. Once these districts were hot bed of Naxalite activities, so much so that the ultra left extremist units were in a position to run parallel administration. However, the Y S Rajasekhara Reddy government succeeded in weeding them out and eroding their support base. Several of their top leaders were eliminated in police operations while many others surrendered. The persistent police action has made the Maoist leadership shift its base to north coastal Andhra Pradesh, Chhattisgarh and Orissa. The letter further holds the TRS government responsible for the unabated farmer suicides in the state. “The KCR’s government remained a mute spectator to the suicides of 400 farmers and even tried to blame us for the crisis. The government also turned a blind eye to the mining mafia in Karimnagar, Warangal and Khammam districts,” it said. Last month, 20th of August marked the completion of a year of my incarceration by the Maharashtra Police. In spite of being a cultural activist and a student of the well known Jawaharlal Nehru University, I have been booked under several clauses of UAPA (Unlawful Activities Prevention Act). I have been imprisoned in the High Security Cell (called Anda Cell) of the Nagpur Jail in extreme segregation. On 6th September my bail petition was rejected in the Gadhchiroli sessions court of Maharashtra. Inside the closed doors of the jail, I had hoped that justice will shine through like a ray of light. But the rejection of my plea, has instead put my hopes to rest. Maoists are gearing up to observe the PLGA (People’s Liberation Guerrilla Army) Week beginning from December 2. 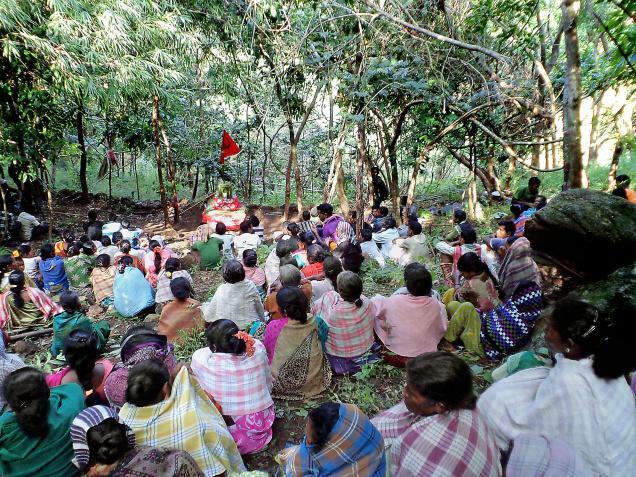 According to reports, about 50 armed Maoists of the East Division Committee, led by secretary of the committee Kailash, had organised a massive meeting inside Balakema forest under Chintapalli Mandalam in Andhra Pradesh bordering Malkangiri district on Thursday. People of 10 villages had participated in the meeting. Addressing the gathering, Kailash urged the people to join the PLGA Week in large numbers. He also announced that the Maoist outfit would induct more local youths during observation of the PLGA Week. Condemning the recent killing of three cadres by tribals at Birabaram village, he said that the 19 people of the village, involved in the incident would be killed in the praja court. Denying reports of the death of comrade Nageswar, chief of Korukunda Dalam, in the attack, Kailash said the Maoist leader, who was seriously injured in the attack, was alive and was undergoing treatment. An encounter took place in the jungle of village Harrakoder in the Lohundiguda block of Bastar district on the 19th of September 2014 in which the police reported that they killed two Maoists. This is a blatant lie. The facts go like this. On receiving information the police went to the place and opened fire on a team of our PLGA at around 7′o clock in the morning. Our team too opened fire and retreated safely. A police died in this incident. After this incident the police picked up Ramder Ekul (Nag) from his home in Thammuskodra, a hamlet of Harrakoder panchayat with the pretext to show them the way back. Ramder happens to be a “lesk” (meaning priest, who does manthr thanthr and also gives herbal medicine to the villagers). They killed him along with another unknownn person. This the police posed as an encounter and this is nothing but fake. Ramder’s kith and kin and the villagers went to Jagadalpur, the district headquarters and were bringing the body home. But they were stopped on their way near Barsur and were forced to bury it a little away from the Sathdar culvert on river Indravathi. Thus the people could not perform the customary last rites of Ramder. The fake encounter and the deprival to perform the last rites made the people angry. According to the IG, Kalluri, the unknown person is a Muslim and that they sent the DNA report to Kashmir, Mumbai and other places to identify. This is a part of the conspiracy of the Central and the State governments to propagate that the Maoists are in contact with the Kashmir and Muslim militants and the intelligence wing of Pakistan. They thus want to prove that the Maoists are anti national. This also reveals the anti Muslim minority policy of the government out of which they wish to oppress the Muslim youth of Chathisgarh in the name of association with the Maoists. According to our sources in the police, they brought the unknown Muslim along with them into the jungle. The people of Barsur area are clear and they openly say that the police brought this moustache Muslim person along with them at the time of this operation. 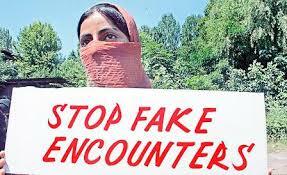 Who is this Mulsim person dead in the fake encounter is to be verified. It is a regular practie on the side of the governments for the past few years to arrest Muslim youth across the country and send them to jail on false charges or kill them in fake encounters, in the name of Islamic terrorists. This has begun in Chathisgarh too. We appeal to all the Muslim social organisations and the minority social organisations, the human rights organisations, progressive persons, democrats and the media persons to make an independent enquiry into the fake encounter in Harrakoder. We wish the facts to be brought forth and the unknown Muslim person to be known. On our behalf we state that the deceased Muslim person is neither from the area of the movement nor our associate. Our enquiry too continues. 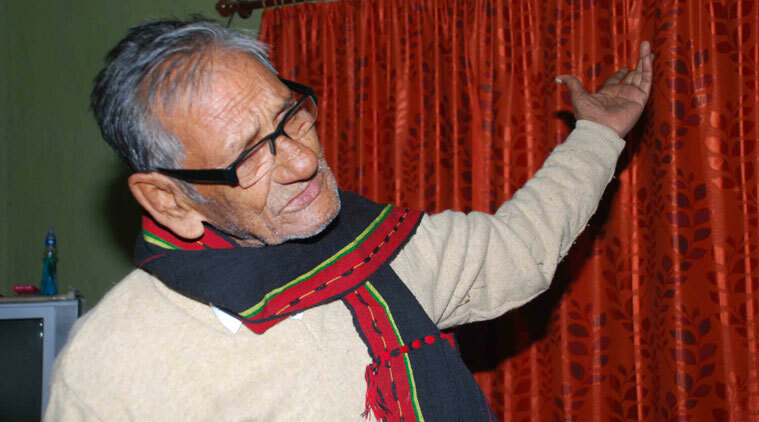 Narayan Sanyal, an octogenarian political prisoner, who got released recently after nine years in jail was again detained on his way to Giridih in Jharkhand for a court appearance. On the morning of November 24, Narayan Sanyal flew from Dumdum airport in Kolkata to Ranchi, and then appeared in court in Hazaribagh. While travelling from there to Giridih by road, accompanied by Mrs. Sulochana, president of Dhanbad Domestic Workers Union and Ravindra Yadav, his lawyer’s munshi, he was detained and taken to Dhanwar police station and then to Giridih police station. Narayan Sanyal was released late in the night after several hours of interrogation. The police also beat up Ravindra Yadav, the munshi, without any reason. There were two women in the group but there wasn’t a single policewoman when they were detained by the police. Rearresting and harassing political prisoners under false charges, even when they are out on bail or acquitted of charges, has become a common phenomenon in India. It is a mockery of justice and democracy that a group of people who are on their way from one court to another to appear in a case can be picked up by the police and detained without any charges. It is clear that the government is giving police and other security agencies free hand in neutralizing all dissenting political voices. It is to be noted that thousands of political prisoners — tribals from Chhattisgarh, Muslim youth from Kashmir, workers from Haryana, academics from Delhi, and people from all walks of life — are languishing in Indian jails for their political beliefs and actions. Many of them are incarcerated for years without trials, many are arrested and tried repeatedly, and finally by the time they are acquitted they have spent decades in prison. The truth is that the ruling one percent want to silence dissenting voices from the society at large because they fear that even a spark somewhere can burn down their reign of exploitation and injustice. 1) An end to the impunity of police and security forces, which get away with arresting/harassing thousands of people under false charges and then imprisoning them for prolonged periods. 2) The repeal of the draconian laws that criminalize political dissent. Our Party blames the Chathisgarh government for the incident of failed family planning operations leading to the death of women in Pendari in Bilaspur. We severely condemn the conspiratorial and criminal negligence of the government towards the poor and the tribal people. We express condolence and sympathy to the families of the deceased and the severely ill women in the Pendari and other FP camps. We call upon the democrats, progressive persons, activists of human rights organisations, workers, peasants, women, the media persons, doctors and health workers who set down to protest demonstrations demanding excuse and resignation from the health minister and the Chief Minister. Dandakaranya Special Zonal Committee calls upon the Chathisgarh Chapter of the Indian Medical Association to aim the anti people Raman government in the present context of deaths of women during FP operations. We also appeal to raise voice in support of and to express condolence to, the families of the deceased women. The negligence of the government towards the health of the people is evident not only in the present context but also during eye camps earlier. It had become a costly affair to go to the government run medical camps. The government claims to be for the welfare of the people but the truth is that the poor are only conspiratorially neglected in these camps. One of the reasons for this negligence is to stop the people from expecting treatment in the government hospitals and camps. Another is to give way to the private corporate hospitals to mint money. The government is protecting the capitalists and the multinational companies that manufacture duplicate medicine and is making people vulnerable to death. Due to the anti people and pro feudal, capitalist and multi-national company policy of the government, the masses of the country are more and more put to poverty, begging, ill health, illiteracy, homelessness and other such fundamental necessities. The government repeatedly states that the population of the poor is the basis for all these problems. Thus it states that family planning is the answer to all these problems. It conducts FP camps in an irresponsible manner. It unfairly encourages the tribal and non tribal poor people for family planning and also forcefully does so. This puts the primitive tribe that is becoming extinct in more danger. Education is necessary regarding family planning which allows the people to decide about it. In this context we wish to state that the increase in the number of population leads to the increase of working hands two fold. If each and every hand is given enough work there is no scarcity of food. Our country is not poor in jal, jungle and zameen and natural resources. But the problem is that the sources are not used in favor of the poor but the capitalist in the country and across the world. The people would live better only if this is solved. 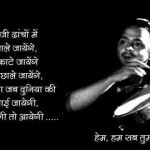 Struggle against the exploiting ruing classes is the only path for self reliance, genuine development and true freedom. 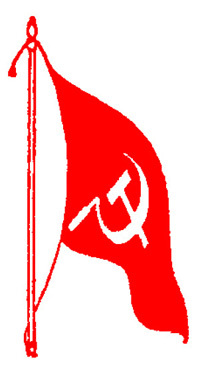 Dandakaranya Special Zonal Committee of CPI (Maoist) severely condemns the Central and the state government’s anti farmer policy regarding stopping of bonus and limiting to ten quintals per acre of buying of paddy by the Government and calls upon all the farmers of Chathisgarh to take up militant agitation against the same. This anti farmer decision is a clear conspiracy to benefit the imperialists. This, along with advocating the farmers to change the crop cycle, discouraging to cultivate paddy, making the country dependent on the imperialists for daily food is nothing but anti people. 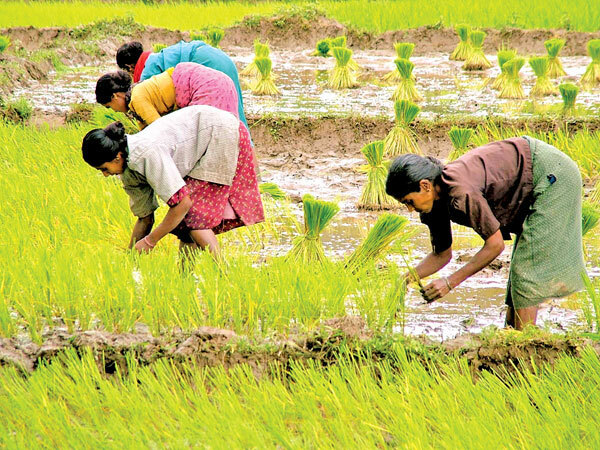 In the name of change of crop cycle the government is trying to encourage commercial crops like ratanjyoth in order to benefit the multi national companies. On one hand America, Japan and other such imperialist countries are giving hundred percent subsidies for the farmers and on the other hand the farmers of our country are facing cuts on subsidies and are also totally deprived of the same. This is nothing but the conspiracy of the government to make the farmers handicapped. We call upon all the progressive, democratic and patriotic sections, human rights activists and the peasants and workers to raise voice against the anti peasant decision of the government that represents the ruling, exploitative classes in collaboration with the imperialists. We call upon the peasant masses of Chathisgarh to come together and demand the abolition of the limitation on buying paddy and for the support price of Rs. 2500 per quintal. We are in support to the struggle.